Call Centers are physical locations where employees handle large volumes of telephone calls for an outsourced company. Virtually every industry from retailers to technology companies to telemarketers to customer service companies and beyond utilize call centers to process business for them. Here, we’ll look at the typical set-up and function of a call center. Generally, a call center requires a big, open workspace to house many employees. The space is often divided into cubicles and each employee is assigned a work station. Each call center has a slightly different setup, but there is a common model. Inbound centers use automatic call distribution, which is a virtual switchboard that assigns calls to employees based on the order they are received. 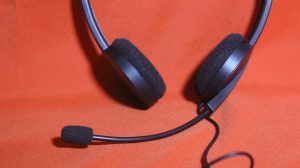 Everyone has a telephone set (which may include a headphone set) that is connected to the main telecom switch, and all calls and data are linked through computer telephony integration (CTI). Calls are often monitored for quality control, whether by a person, or automated system. In the broadest terms, call centers fall into one of two categories: inbound and outbound services. It should be noted that a call center can certainly be home to both inbound and outbound teams as well. Inbound services handle calls that are coming in such as customer service or help center calls. Inbound specialists should be able to field the most common questions that come in while still having the ability to transfer to a more highly trained supervisor. As you might suspect, outbound services call out, and outbound employees focus on sales or surveying. Outbound specialists must understand the product they are trying to sell or gather data about. A call center performs an essential economic function, with a workforce ready and willing to take on the tasks, and an efficient business model.